President Trump went after MSNBC "Morning Joe co-host Mika Brzezinski via Twitter on Thursday morning, prompting a wave of commentary from media pundits and politicians alike. FLOTUS Spox defends Trump tweet: "As [FLOTUS] stated publicly in the past, when her husband gets attacked he punches back 10 times harder." Good time to remind you that @MorningMika is smart as hell, stronger than any critic, & a role model for what we hope our daughters can be. I guess it's coincidence that Trump's attacks on women always involve low intelligence, hysteria and blood. @Rosie, @megynkelly, @CarlyFiorina, @morningmika, flat-chested women, Alicia Machado...long list of women Trump's attacked. He's disgusting. MESSAGE DISCIPLINE! Today ALL comms coming out of WH shd be focused on #KatesLaw and #NoSanctuaryforCriminalsAct -- not cable TV hosts. Shelley Moore Capito, a key GOP swing vote on health care, calls Trump's tweets about Mika "distasteful"
McCain on Trump tweets: "We've got all these issues and challenges in front of us and instead we're talking morning talk show hosts."
. @SenatorLankford: "The President’s tweets today don't help our political or national discourse and do not provide a positive role model"
The irony: @Morning_Joe — already a hot watch in the trump era — will get even bigger after this! Quick reaction from 2 GOP Hill staffers to Trump attack on Mika: How does this help pass health care when he needs Murkowski and Collins? Trump's tweet on Mika isn't just lashing out. He has long made a practice of humiliating women in public. Did it to Michelle Fields too. 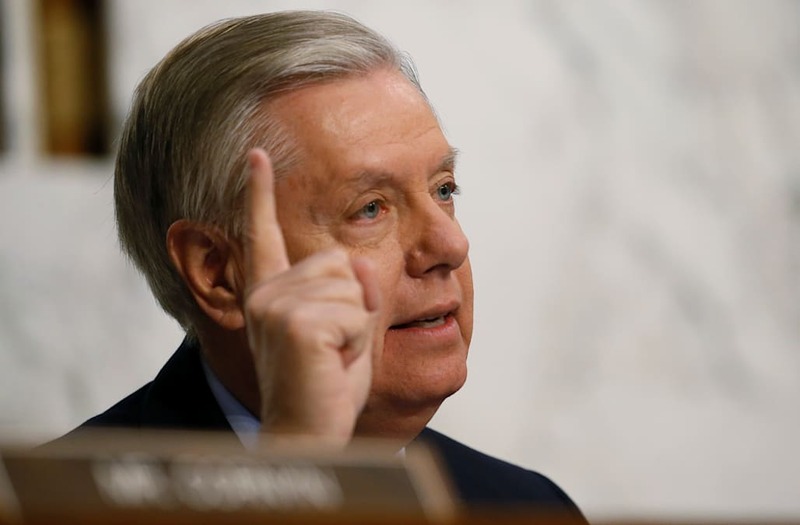 From GOP Sen. Lindsey Graham to CNN contributor Ana Navarro, public figures from the private and public sector took the opportunity to weigh in on President Trump's going after the MSNBC host. "Mr. President, your tweet was beneath the office and represents what is wrong with American politics, not the greatness of America," Sen. Graham wrote via Twitter. Republican Speaker of the House Paul Ryan responded when asked about Trump's statement on Thursday, saying, "Obviously, I don't see that as an appropriate comment." Conservative pundit Laura Ingraham also weighed in via Twitter, saying the president should exercise "message discipline" in focusing communications efforts on immigration legislation before the House of Representatives today. Deputy White House Press Secretary Sarah Huckabee Sanders adamantly defended President Trump in the wake of his Twitter outburst, saying the commander in chief is "fighting fire with fire." And then Sen. Orrin Hatch chimed in with a seemingly sympathetic response to Trump's tweet, saying "every once in awhile you get a dipsy-doodle!" Sen. @OrrinHatch not a fan of today's POTUS missives but ok w/ tweeting habit overall: "Every once in awhile you get a dipsy-doodle!" While Republicans were more tempered in their responses to the Twitter rhetoric, Democratic lawmakers were less-so tempered in speaking out on the tweets. Rep. Barbara Lee of California fired off multiple tweets in response to Trump's Mika-aimed tweets -- saying her GOP colleagues are "complicit in the sexism & bigotry incited by Trump" if they do not speak out. When leaders are bullies, it’s an implicit license to others – sexual harassers, white supremacists, islamophobes – to spread their hate.